McKee's 37 Tools of the Trade T-Shirt shows the world you are serious about one thing – quality car care. 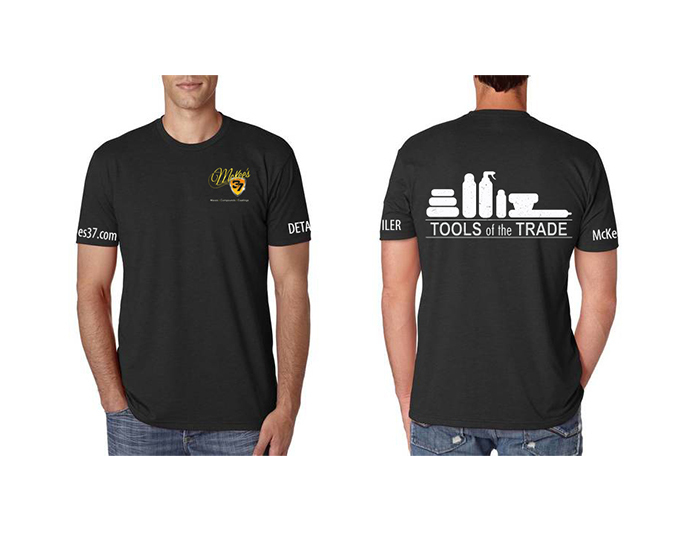 Whether you are a professional detailer, or someone that just likes to wax on the weekends, your McKee's 37 Tools of the Trade T-Shirt proves your capability and success. Made from 100% preshrunk cotton, McKee's 37 Tools of the Trade T-Shirt features a screen-printed logo on both the front right breast and a larger logo on across the back showcasing the "Tools of the Trade" artwork. On the right sleeve you'll find "DETAILER" prominently displayed, while the left sleeve proudly showcases the McKee's 37 name.